While the cameras in the courtroom ensured that an interested public could hear from friends, acquaintances, and neighbors of O.J. Simpson during their trial testimony, Simpson himself was an almost mute presence. That's one of the reasons I'm hooked on FX's American Crime Story. Though the accuracy of the private conversations between Simpson (Cuba Gooding Jr.) and his defense team can be debated, they fill in the gaps of the proceedings since O.J. Simpson didn't testify at his criminal trial. If he had, his testimony would surely have become the most talked about portion of the case. 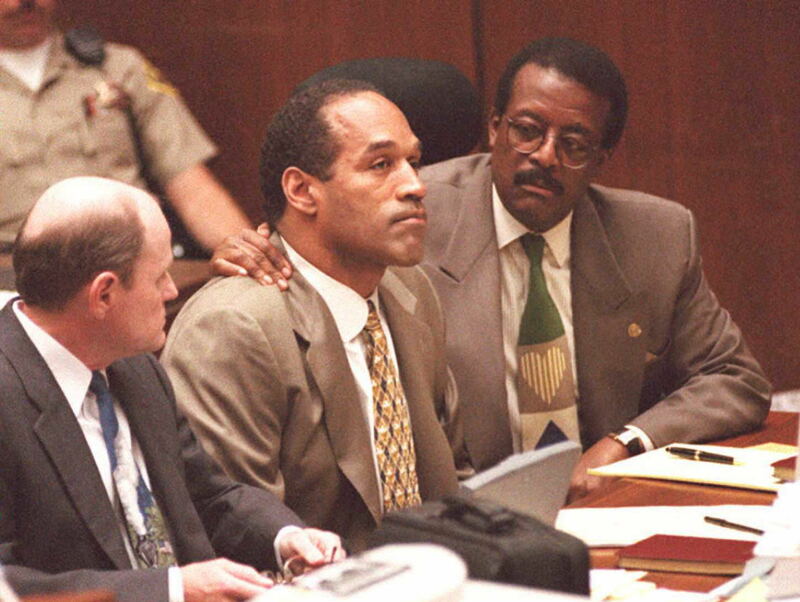 But Simpson was not required to testify, and even without taking the stand, he was found not guilty of the murders of Nicole Brown Simpson and Ronald Goldman. If you remember your ninth grade Civics class, or can at least think back to every Law & Order marathon you've ever seen, you already know why Simpson didn't have to testify. Cornell Law states that the Fifth Amendment ensures certain rights to the accused, including the right not to "be compelled in any criminal case to be a witness against himself." Of course, the defendant and his or her team can choose to supply that testimony for the jury, but it is not required except under certain extenuating circumstances. The public may never know why Simpson's team decided against his testimony, though American Crime Story does supply its own version of that conversation. In 2013, another court heard from Simpson while he attempted to have his 2008 robbery, kidnapping and assault convictions reviewed in a new trial. According to CNN, he "seemed relaxed, alert and attentive to each question" as he testified that his lawyer Yale Galanter gave him faulty advice about confronting sports memorabilia dealers that Simpson claimed landed him in prison. CNN reported months later that Simpson's bid failed and the court upheld his convictions. So while you won't see Simpson testify on American Crime Story thanks to his constitutional rights, he did later take the stand at other trials.